One Restaurant & Bar makes Novotel Canberra a popular meeting place for dinner and drinks, conveniently located in the city’s CBD. Located on the first floor, this contemporary Canberra restaurant has floor to ceiling windows and a decor of rich woods and natural earthy tones creating an ambiance that's warm and inviting. 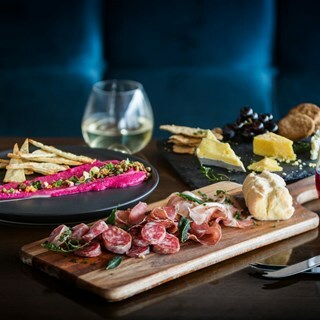 One Restaurant offers modern Australian cuisine with a range of delicious meals to choose from, including traditional favourites and healthy choice options. One Bar offers all day dining and is the perfect place for a coffee, a pre-dinner drink or a light meal. To maintain nutritional balance when travelling, choose from our healthy choice menus throughout the day or wake up to Novotel's Fresh Start Breakfast which includes organic items. It would have been nicer to be closer to the entertainment. The food is so ordinary and microwave heated such as the lasagna. The chocolate tart was hard and seemed old. The cheese cake was cake not cheesecake. The chips were not shoestring and weren’t that hot. The Neue was very limited for dinner options. For a quiet setting, pleasant outlook & food of exceptional standard, this restaurant will not disappoint. We dined here on Saturday and it was a very good experience and the food was great! I booked again for Sunday night and on arrival was told a last minute conference booking had booked out the restaurant!! No one bothered to call me and as it takes forever to get to because of the road works we were NOT very impressed at all!! It did spoil the first experience!!! We really enjoyed my partners birthday dinner. The food and the service were fantastic. It was a bit massed up with the booking, however the service was excellent and restaurant made us feel welcome and fixed seating. Sorry guys but this was terrible. I’ll be cancelling my Accor plus membership. And the bill? Even with 50% off was still overpriced. The build your own salad we expected a salad with protein of choice however the salad was just a small strip on the plate. Dessert - the best thing there was the fresh raspberry and strawberry. The sugar cookies were nothing special and tasted 3 days old. The price point, charged like fine dinning for food that was not. I would have got a better feed at my local pub. The atmosphere was also nothing special. I expected a higher standard for a Novotel restaurant. Overpriced, had two meals there now for dinner with guests - very ordinary experience unfortunately. Meals would benefit from greater attention to quality (and less quantity). Staff were friendly and the food was good. Cannot review as we were unable to dine; booked the 25% disbount on Dimmi but we’re only advisesd on arrival that only the bat menu was available that night. Very limited menu. Four entrees and four mains, one of which was common to both menus. Think this is the first time I have been to a restaurant and have not been offered a brand roll to start. Essentially, the meal was no better than a meal offered by a suburban hotel in their bistro. The food is not of a good standard. The chefs should be notified. The tandoori chicken dish was dry, tasteless. It did not even taste like tandoori but it was expensive. This is not really acceptable since it’s easy to get tasty tandoori for much cheaper elsewhere. Strangely the menu extolled the virtues of this dish, mentioning that the chef was North Indian, but it was not a good dish at all. The chefs should take some pride in their work as they are letting down the hotel which is otherwise very pleasant. The sweet potato chips came out cold. The bill didn’t have 25% discount on it even though it had it in the reservation book. We had to remind them. Food was good, but not enough for the price. Otherwise, everything else was good. Lovely staff and loved the chocolate dessert. Great value with Accor Plus card. Great restaurant with good food, good portions, great staff and is good value. Good spot (and view of Northbourne St) for hotel guests. Reasonable food and bar menu and perhaps fairest wine prices in the area. The 25% off the food bill via Dimmi was a sweet deal. Service could have been more attentive - but staff looked stretched with the number of tables (mind you at 6.30pm). A few tweaks needed but I’d visit again. First Edition had a lovely private atmosphere with fantastic service and great food. We'll definately go back again.